My primary focus in telling the familiar story about Jesus is to provide something for serious students who are unfamiliar with the critical issues that surround this story and to do this within the context of faith (p. x). The book is organized into 7 chapters that fall under 3 headings: “History and the Historical Jesus” (hermeneutical and metholodical issues); Sources for Studying the Historical Jesus (including what we can learn from archaeology and DSS study); The Story of Jesus in History (Events and Teachings). I will not give an exhaustive review since, as an introduction, some of what McDonald says is standard fare (as it should be). McDonald represents a view that tries to see faith and history as complementary (not contradictory), and that something is missing when you eliminate one. 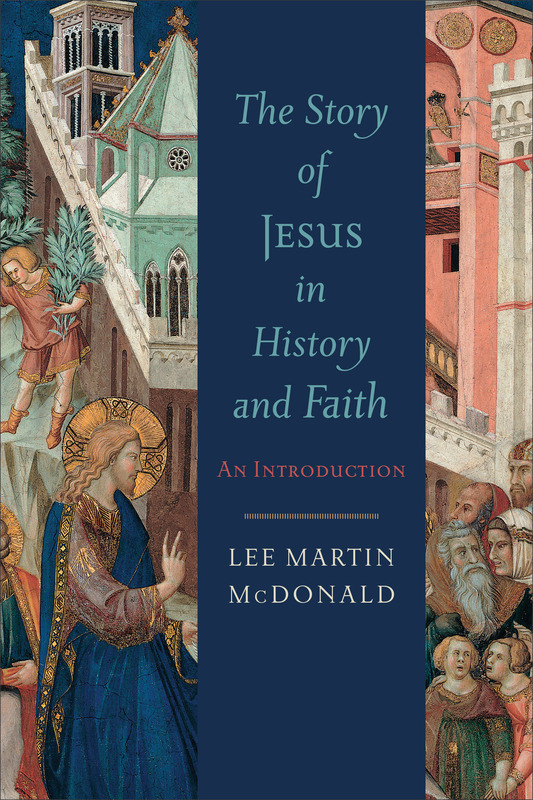 In terms of history, McDonald urges: “Faith in Jesus as the Christ is faith in a historical phenomenon in the sense that Christian faith is centered on God’s activity in a historical person who lived and died in Palestine in the first century” (p. 21). On the other hand, “Faith…realizes that appropriation of God’s activity in Jesus cannot be found in the historical-critical dimension, but through faith alone” (p. 21). As good models of scholars who can put together history and faith, McDonald points to : John P. Meier, James Charlesworth, Bruce Chilton, James Dunn, Craig Evans, Craig Keener, Ben Witherington, N.T. Wright, and Raymond Brown. When it comes to studying Jesus from a historical perspective, McDonald presents a very handy chart of what five key scholars/camps conclude about what is historically most likely (from Sanders, Charlesworth, Luke Timothy Johnson, Funk/JS, and N.T. Wright). You will not be surprised that the list includes items like birth in Palestine, Jewish famiy, baptism by John, teacher (of parables) in Galilee, healing activity, strong following, and death on a cross (p. 36). Again, I really liked the discussion of the relevance of archaeological work and examination of the DSS (153-156). From the former he mentions things like new light on Nazareth, excavation of a house in Capernaum, study of Chorazin and Bethsaida, Jewish burial practices, and newer insight on crucifixion. As for the latter, he notes DSS’s interest in angels/demons, the Messiah, resurrection, and kingdom; connections with the message of John the Baptist; dualism (see p. 159). The later parts of the book examine sources and also the events in the life of Jesus. Much of this is reflective of consensus views, so I will not take the time to survey the material, but it should be said McDonald is a clear and capable writer. This book would be a nice choice for a course on the life of Jesus. Finally, lecturers as well as students will benefit from McDonald’s topical bibliography. I warmly recommend this to teachers and students as a “faith-friendly” guide to studying the historical Jesus!